Changes on the 2020 Ford Super Duty could bring a new drivetrain. It is a huge 7.3-liter V8 unit, which could top capabilities of the current Powerstroke diesel powertrain. However, we still don’t have confirmation for this rumor. Ford will definitely update their Super Duty segment. First of all, it is the next segment that will suffer changes. The company made a huge refresh on full-size F-150 by adding a diesel engine. 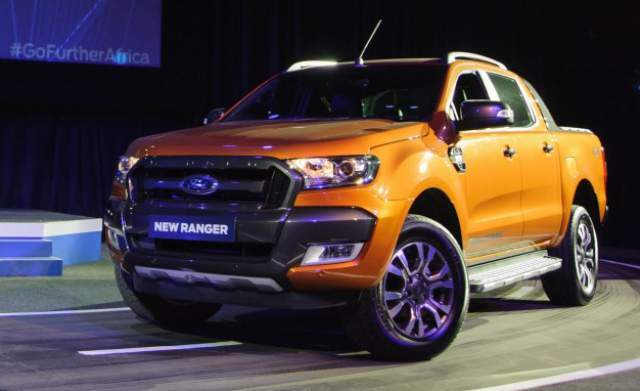 Also, in the compact class, Ford brought back Ranger. Now, it is time for heavy-duty pickups. 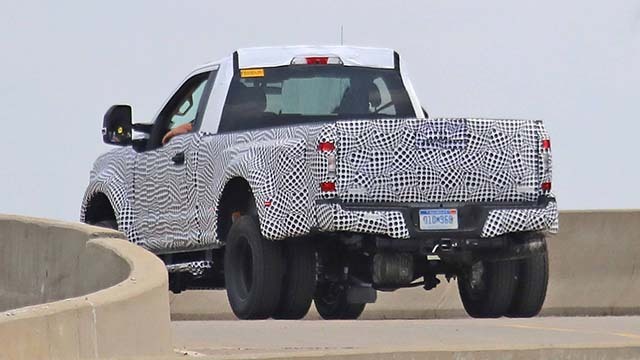 Ford is already testing the new F-250. Its spy shots are available, and the pickup was caught a few times already. Well, the fully-covered vehicle is hiding all its changes beneath the camo. Whatsoever, spy photos are confirming the existence. Heavy panels are keeping the view from something big, we are sure. With or without camouflage we won’t know about the new 7.3-liter engine until it is official. Rumors are pretty confident, although it is not easy to imagine such a huge unit nowadays. The 2020 Ford Super Duty lineup will offer three models – F-250, F-350, and F-450. 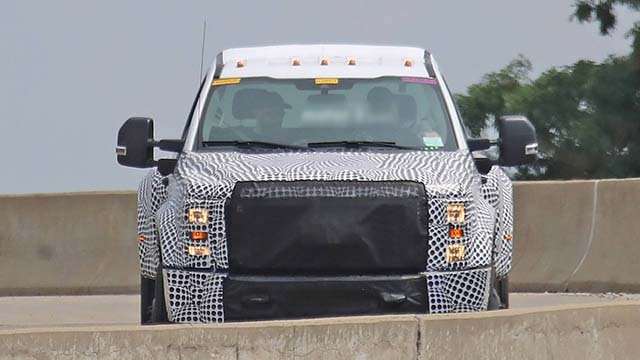 The upcoming series of the 2020 Ford Super Duty trucks will keep the core engines. Reliable units don’t need big changes. A heavy-duty segment is also versatile with diesel and petrol drivetrains in the offer. All three models, F-250, F-350, and F-450 are using a 6.2-liter drivetrain as the base one. A gasoline engine is capable to produce 385 horsepower and 430 lb-ft of torque. Ford is still not using its new 10-speed transmission for the heavy-duty class. In 2020, the new gearbox will replace a six-speed automatic transfer case for sure. Although it is not official, we can bet this will be one of the updates by the Blue Oval company. Although fuel economy is not estimated by EPA, feedbacks from our readers are showing bad returns. A 6.2-liter unit can do only 14 mpg and the new transmission should boost it for at least 1 or 2 miles per gallon. That is another reason why we are so sure a 10-speed gearbox is coming for the 2020 Ford Super Duty. Heavy-duty trucks are there to tow. Although a gasoline unit is offering more towing capacity than any full-size truck, there is always room for improvements. That is why 2020 Ford Super Duty diesel offers a diesel unit. With it and proper setup, top of the range models will be able to haul over 30,000 pounds. A 6.7-liter turbodiesel engine is capable to produce 440 hp and 925 lb-ft of torque. A Powerstroke mill and dual-rear wheel configuration are making the best combo for the best-in-class towing capacity. The entry-level F-250 is coming only with a single rear wheel. A 7.3-liter was a Powerstroke diesel drivetrain which is set to come back to kill the competition. This unit was removed from Ford’s development because of the high emission. Now, new technologies made improvements in this section, so the big 7.3 diesel unit could be part of the lineup. Well, these are only rumors for now and we expect an official statement about it very soon. Ford is already planning to install a 7.0-liter engine in some special editions of the F-150 truck and Mustang muscle car. The next vehicle to get this powertrain is one of the 2020 Ford Super Duty pickups. A 7.0-liter V8 drivetrain is going to produce more power than 6.2-liter. However, exact numbers are still unknown. The company will try to equal the output of the turbodiesel engine, so the new unit will probably deliver over 450 hp. The 2020 Ford Super Duty will keep its main trucks for the next season. F-250 and F-350 models are almost identical, but there are slight differences that could make truckers pick one or another. For example, F-350 is longer and it can tow more. On the other hand, a 22-feet long vehicle is not proud of its maneuverability. F-350 dually is the special edition with dual rear wheels. 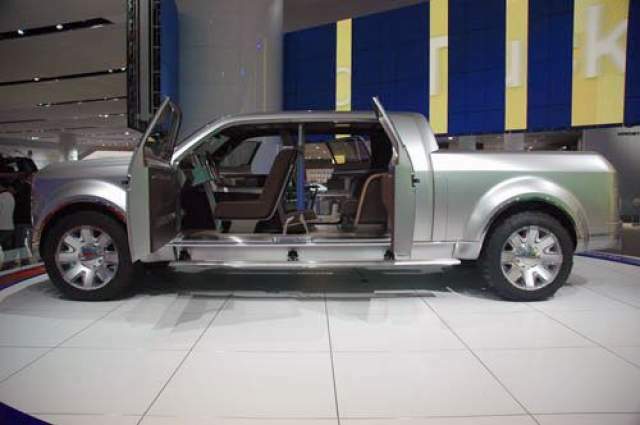 F-250 is not offering such configuration. Engines and trim levels are the same, so it is up to buyers if they want more powerful unit. 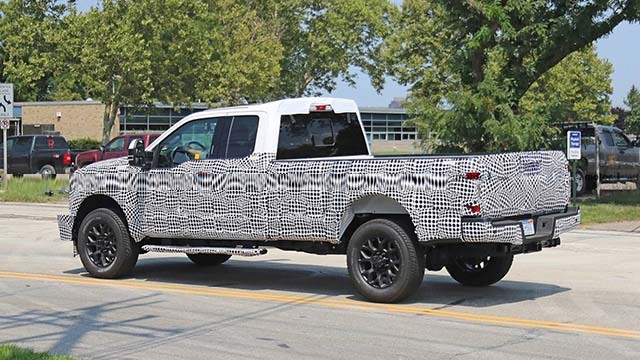 Camouflage can cover details, but we still can notice some changes on the 2020 Ford Super Duty. First, the shape of the grille is different than before. More sculpted, it could carry a Ford badge instead of a blue oval logo. Well, the size of the front fascia is the same as before. Also, we can be sure that the new design of taillights will refresh the rear end, and that is mostly all we can claim. The new 2020 Ford Super Duty after the redesign will definitely be more expensive than the current edition. Well, everything depends on the buyers’ preferences. F-250 will be available under $35,000 and its bigger sibling in the XL variant will cost $1k more. The biggest unit in the class is F-450 and it will cost almost $50,000. We will know more when the release date approaches. It will be in a year or so, in the last quarter of 2019. Whatsoever, the new Ford Super Duty will enter salons in 2020.